Drumheads, photographed at J.W. Corbett Wildlife Management Area, Hungryland Trail, Loxahatchee, Palm Beach County, in July 2015. Beautiful. Bizarre. Distinctive. 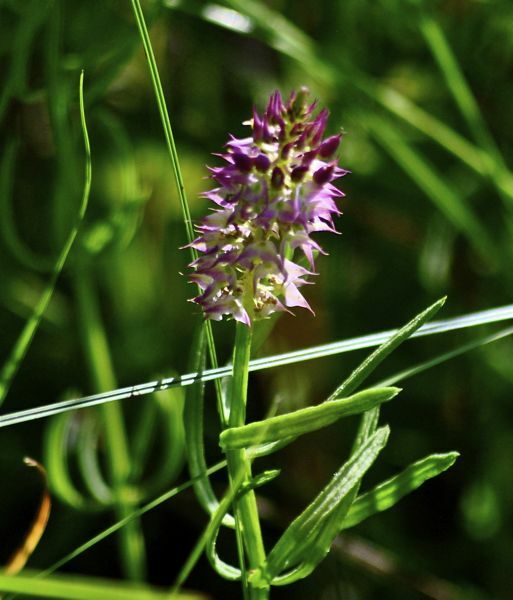 Those are some of the words that come to mind when describing Polygala cruciata, aka drumheads. It grabs your attention and doesn't let go. It's a small plant with large clusters of flowers that bloom spring through fall. It's a Florida native found throughout most of the state but it's rare in South Florida and not found at all in Miami-Dade or Monroe counties. The Institute for Regional Conservation considers it "imperiled." Its native range extends across the eastern and central United States, Maine to Minnesota, Florida to Texas. It even crosses the border into Ontario. But in many places, it's exceedingly rare. Connecticut and Rhode Island list it as of special concern; Iowa, Kentucky, Minnesota, Ohio and Pennsylvania consider it endangered; in Maine, it's possibly extinct. Drumheads are not given protected status in Florida, so we're guessing it's more common in other parts of the state than it is here. Normally, drumheads top out at about six inches off the ground, but when in bloom, it soars to all of a foot. The leaves are narrow and wrap around the stem in whorls of four. The flowers appear in large clusters called racemes that range in color from white to pink to deep reds. Technically speaking, the color comes from bracts rather than the flowers themselves (think of the poinsettia), which are tiny and yellowish. It is an annual. It is a moisture-loving plant, found on the edges of marshes, wet pinelands and savannas. It likes open and sunny places. There are actually two varieties of drumheads, one found mostly in the northern part of the U.S., the other in the southern, with some overlap. The variety found in Florida is P. cruciata var. cruciata. Cruciata, by the way, refers to the cross-like pattern the leaves make. That same pattern is the source of other common names for the plant, including cross-leaf milkwort (also crossleaf ), cross-leaved milkwort and simply cross milkwort. The orgin of the most commonly used name, drumheads, is less clear; it could refer to the skin of a drum (unlikely) a type of cabbage with a flat head (doubtful), the capstan of a ship, which is also called a drumhead (possibly) or something else that we're missing altogether. The cross-shaped leaves do somewhat resemble a capstan (the device used to raise the anchor on old-time sailing shipes) with four levers in it. Drumheads are members of Polygalaceae, the milkwort family. 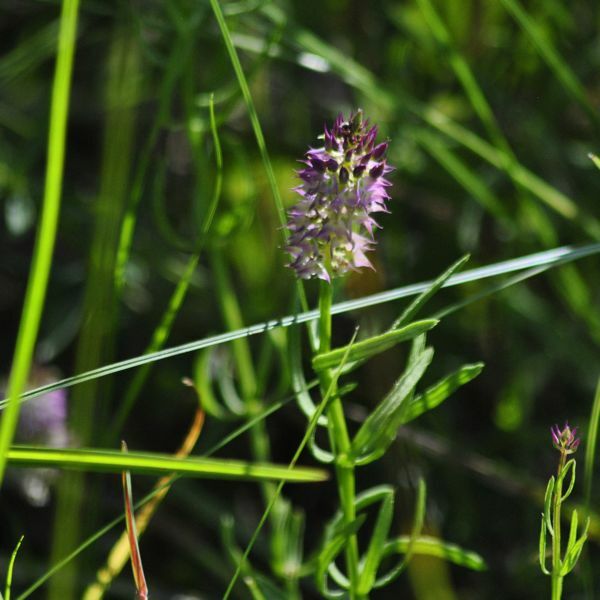 Other common names include marsh milkwort, field milkwort and candy root (not to be confused with this Florida native and member of the same genus). 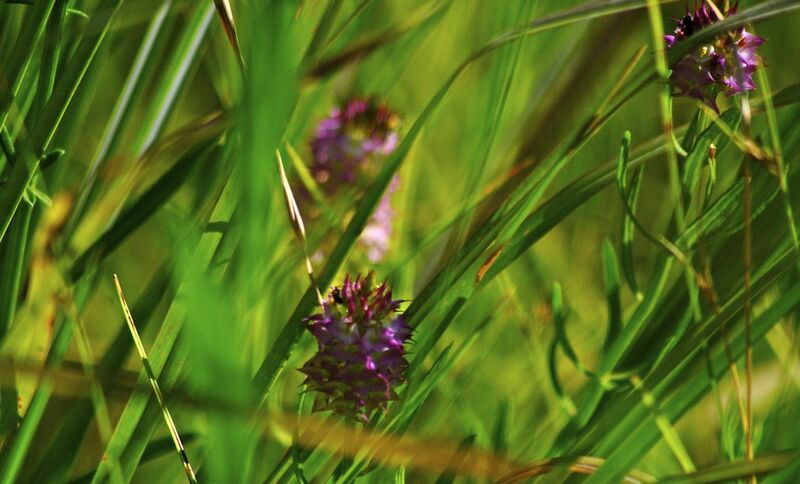 Polygala means much milk, and comes from the belief that the presence of these plants indicated a good place for cows to graze and thereby increase milk production. There are something in the neighborhood of two dozen members of the genus found in Florida.